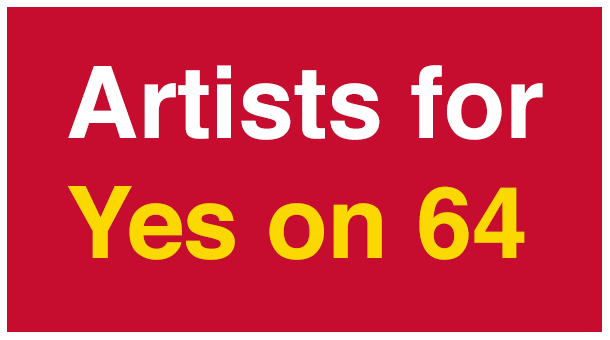 As part of their Artists for Yes on 64 series, the Californians for Responsible Marijuana Reform have released an ad featuring Pusha T encouraging California voters to support Proposition 64 on Election Day, a bill which would legalize recreational marijuana use in the state of California. The proposition allows adults over the age of 21 to “possess, transport, purchase, consume and share up to one ounce of marijuana and eight grams of marijuana concentrates” and imposes a 15% excise tax which will fund substance abuse treatment and education programs for youth, state law enforcement, and environmental initiatives in California. In the ad, the Clipse icon—not a California voter himself, he admits—eloquently argues the benefits of the bill from the perspective of improving mass incarceration numbers and recidivism. The national classification of marijuana as a Schedule I drug—considered dangerous and of no beneficial medical use—constitutes a large portion of the drug-related arrests made in the U.S., with arrests increasing in recent years. “It’s one of the number one reason people trying to re enter their communities are sent back to prison,” Pusha T claims in the ad. 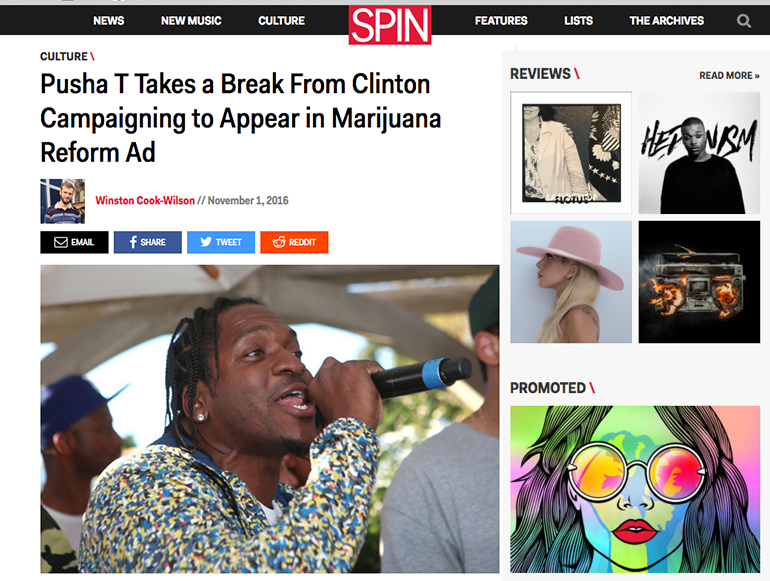 Pusha has been doing a lot of public speaking lately, and this ad comes less than a week after he appeared in a pro-Hillary ad with Tim Kaine, following campaigning for Clinton in Florida. The Democratic nominee has been wishy-washy on the issue of legalization, (here’s a chill short history of the Clinton’s weed-related history from Leafly). Today, she only supports reclassifying the drug due to its potential medical benefits, which formed a stark contrast to her former rival Bernie Sanders’ anti-“war on drugs,” pro-legalization stance. Clinton does, however, believe in taking a “hands-off” approach with states who have legalized the drug (currently just Colorado and Washington), and Pusha is voicing his support at the state level. His ad with Kaine does discuss the importance of working to mitigate mass incarceration—another thorny issue for the Clintons, traditionally—but does not mention drug law reform. It’ll be interesting to see if Hillary might begin to move left on the issue—not only because she has been continually pushing left on the issue, but because one of her biggest donors is Soros Fund Management, a major backer of the legalization movement.